preparation | Where in the World Is LN? 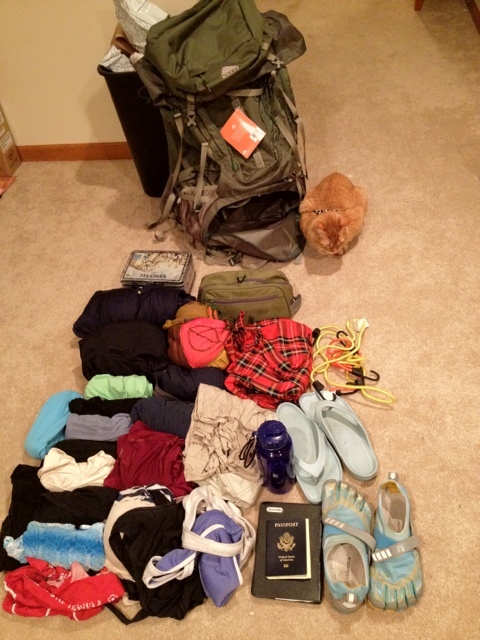 Here is a short-list of everything that is in my backpack. Of course, some will say “shooting”, which is also very valid. What skills do you think you’ll need? Are you preparing? I’ve been reading this book for about a week. I never ever want it to end. It’s not a good “going to bed” book because I will constantly disrupt the cat with fits of giggles that will last 30seconds or more. Tony, not only are you incredibly hot-but you’re also my hero. Thank you. I got a new bag from Amazon. 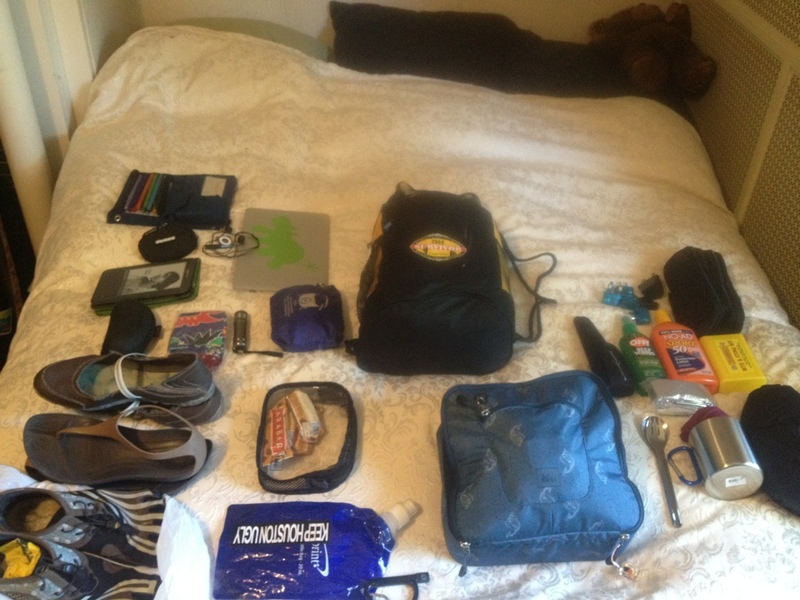 Before (when I backpacked across Europe) I had the Rick Steve’s convertible bag. I loved that bag, but wondered if there was something that would be bigger than 2500cu in. The Kelty 90m/L is 5492 cu. in. It also has all sorts of beams and pockets and stuff that may come in handy. All of this only took up half the space…………..